Acupuncture helps cancer chemotherapy induced peripheral neuropathy. A patient from northern Kentucky was referred to me for acupuncture for CIPN. She had completed Taxol-based adjuvant chemo therapy for breast cancer one year earlier. She had persistent pain, numbness and tingling of both feet which responded poorly to medications. After 10 treatments, she only had some residual numbness involving the left 4th and 5th toes, and her pain resolved completely. She came back 6 months later with recurrence of her symptoms but to a lesser degree. She improved significantly again after 5 treatments. One year after the last treatment, a follow-up visit showed no recurrence of PN. Although the case report is regarding CIPN, I need to point out that I have also treated many patients with peripheral neuropathy of other causes with very positive results. · Avoid or discontinue physical training if physically unfit. Nutritional supplements are popular among patients. Some have been proven to be effective in the prevention of CIPN, but they have not been adequately researched for management of PN/CIPN. Vitamins E, β-carotene, B6/B12, antioxidants including N-acetylcysteine, α-lipoid acid and acetyl-L-Carnitine have been tried. Some supplements maybe beneficial too. An integrative approach combining acupuncture and nutritional supplements maybe plausible. Attention should be paid to comfortable footwear, use of orthosis, and having a save household environment. Some medications, such as Opioid Analgesics and anti-epileptics, are helpful if they are well tolerated. Acupunctive treatment modality for peripheral neuopatny, including CIPN in my clinical experience over the last decade and it is supported by a few studies. Long lasting benefit after discontinuation of acupuncture can be achieved in some patients. 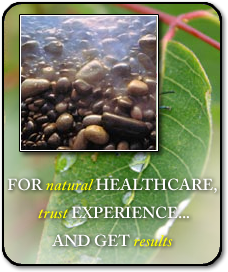 acupuncture and Chinese Herbs services.